Author Shows The Red Big Things At The Miami Book Fair 2018! There were 737 press releases posted in the last 24 hours and 153,509 in the last 365 days. AuthorCentrix celebrates its second year as one of the exhibitors at the Fair. 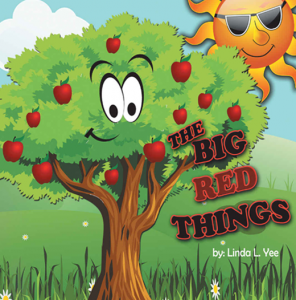 The company will be gracing the event with Linda L. Yee and her children’s book entitled The Big Red Things, a new favourite treat for the young readers. This year at the Fair, she brings to a piece of work filled with life lessons that will give every parent an opportunity to pay closely to the values that they put in their children’s heart and mind. A chance for one-to-one Author Interview and Book Signing with Dr. Reynolds await everyone! Life teaches a person that respect, care and love must be shared – these things make a person grow. The Big Red Things is a piece of work that will give every young reader an opportunity to see the value of friendship and family. In the story, the character of Plant is introduced. As an individual, he grows and discovers new things about his surroundings. He gets guidance from other plants and small creatures of the field. Different emotions are introduced to him: anger, fear and sadness. But nothing compares to the unconditional love and care given by the child who took care of him through the years that made him grow and learned how to love, forgive and be happy. The wonderful story of Plant will definitely stay in the heart of every child.